The SyFy channel will start filming their new NIGHTFLYERS series late this year or early next, I am informed. 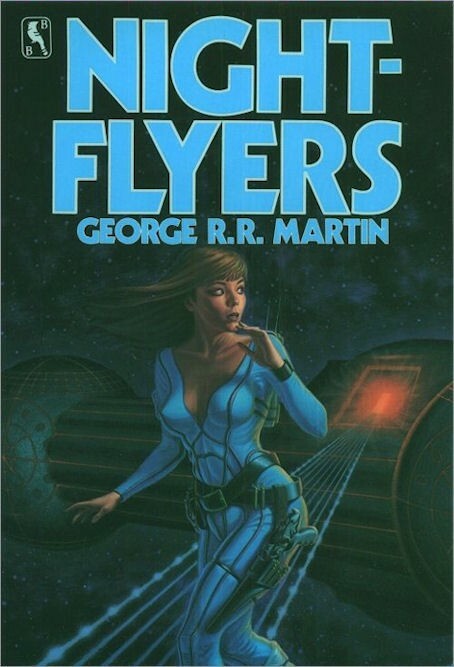 The series is based on my novella "Nightflyers," first published in 1980. 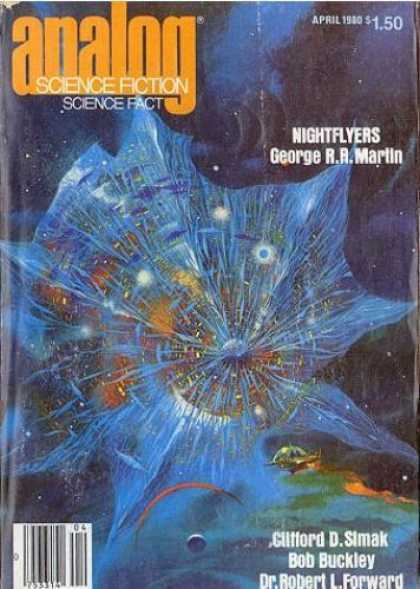 "Nightflyers" was one of my Thousand Worlds stories, part of the future history that formed the background for most of the science fiction I wrote and published in the 1980s. The earliest version of it was a 23,000 word novella originally published in ANALOG, with a gorgeous cover by Paul Lehr. The story had a lot of fans, though. One of them was editor Jim Frenkel, who was doing a new series called 'Binary Stars,' a sort of revived Ace Double concept with two 'short novels' sharing a single book. He wanted to use "Nightflyers," but needed it to be longer. I was thrilled to oblige, since I'd always felt the original needed a bit more room to breeze. I happily expanded the novella to 30,000 words, and in that form it was paired with Vernor Vinge's "True Names" in a Binary Star, and later reprinted as the lead story in one of my collections from Bluejay Books. I don't know where screenwriter/ producer Robert Jaffe first encountered the story... in ANALOG, or via my collection... but somehow he did, and reached out to be in 1984 to option, and then purchase, film and television rights. The movie was filmed in 1986 and released in 1987. NIGHFTLYERS... the movie... was not a huge hit. But it's a film that I have very warm feelings toward. 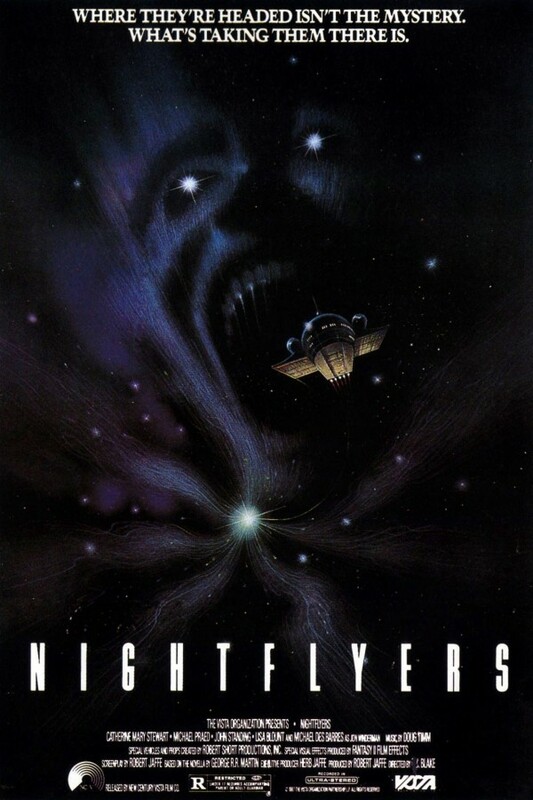 NIGHTFLYERS may not have saved my life, but in a very real sense it saved my career, and everything I have written since exists in no small part because of that 1987 film. Tomorrow night we'll be screening at the Jean Cocteau Cinema, with Robert Jaffe flying in from Los Angeles to talk about the making the film with me.